This guest room is actually a family suite, suitable for 2 / 3 adults, or 2 adults plus 1 / 2 children. It is located on the ground level and has easy access by the inner courtyard. The South suite includes two adjoining bedrooms, guarded by ancient oil painted portraits of cévenol elders of the house. 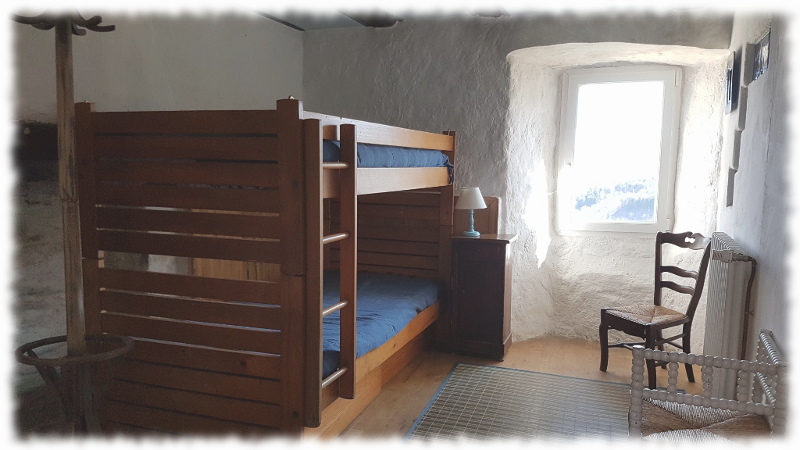 The very cozy bedroom (more than 18m2) possesses a fireplace, a desk space, and a large bed (160x200cm) opens on the second room equipped with bunk beds (90x190cm each). 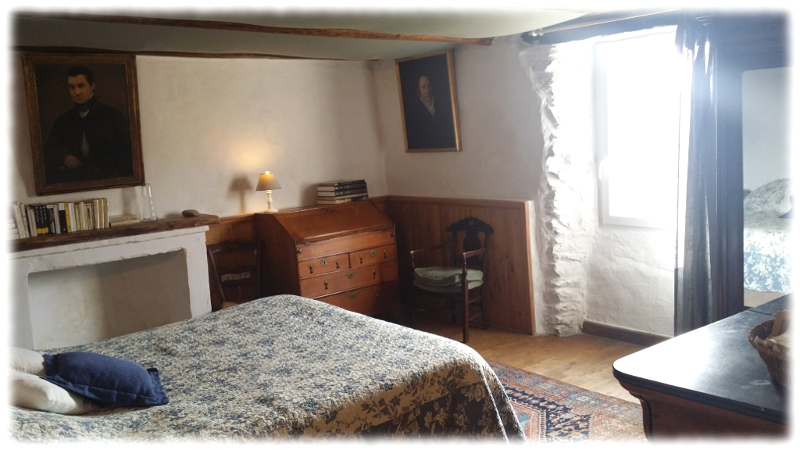 In each room, a large single-glass window offers, above the star jasmine and the kiwis, a wonderful view on the Dourdon valley, beyond the apple orchard. This suite has a private and complete bathroom. 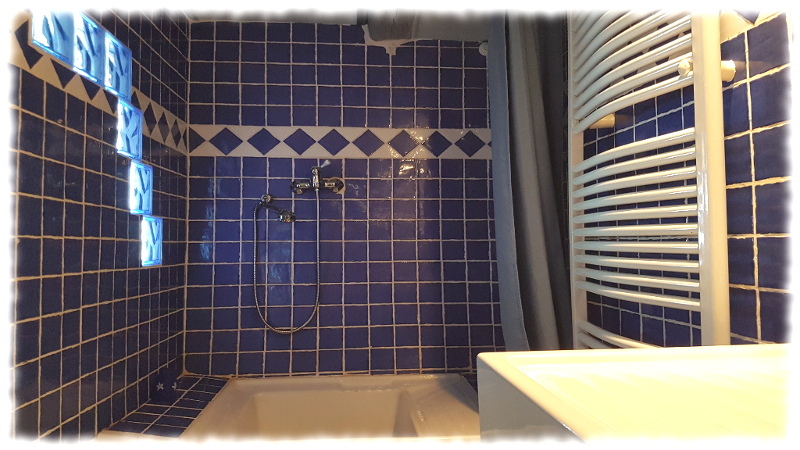 The shower is made in an ancient washtub and the basin was actually a kitchen ceramic sink, long time ago. The toilets and separate from the bathroom.